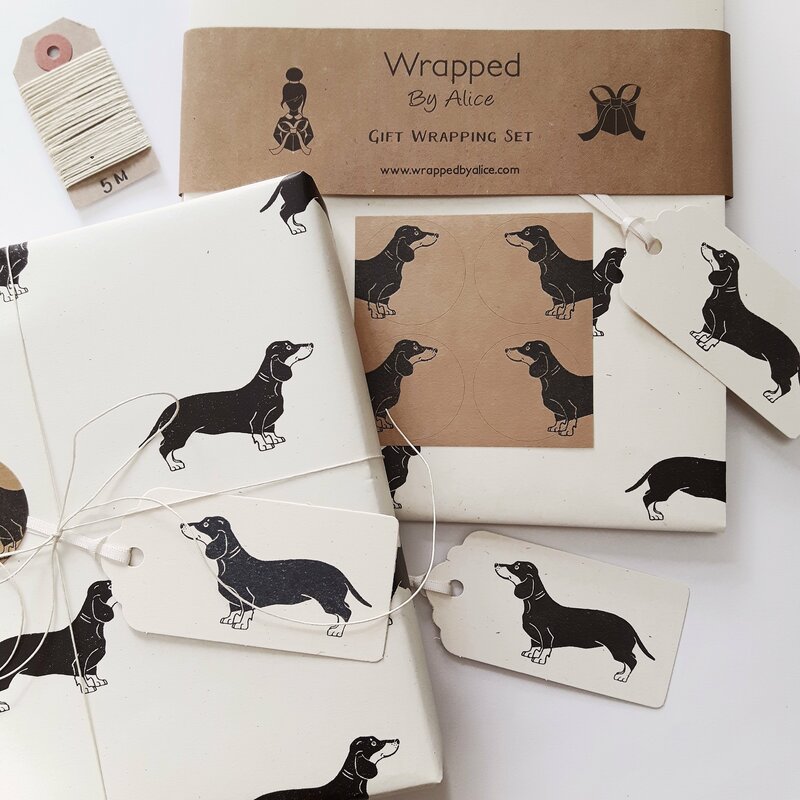 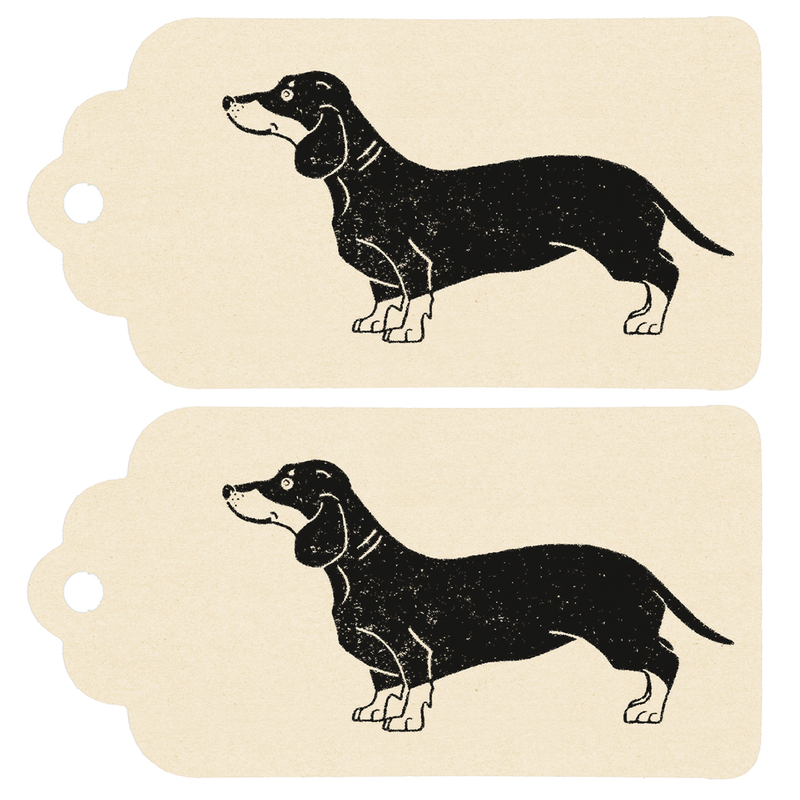 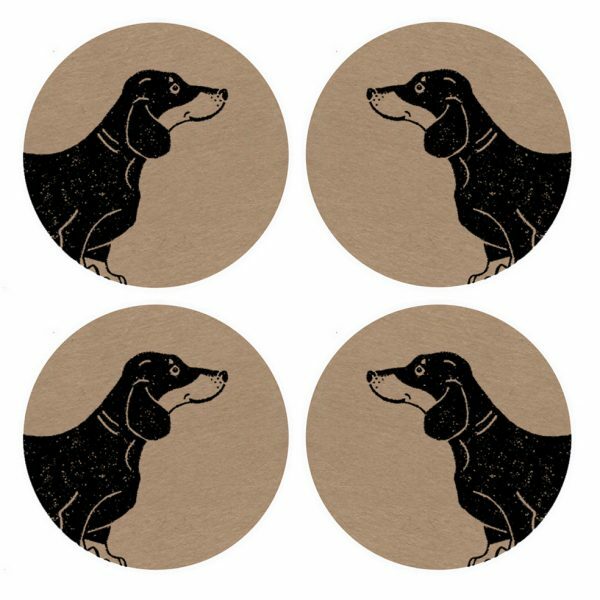 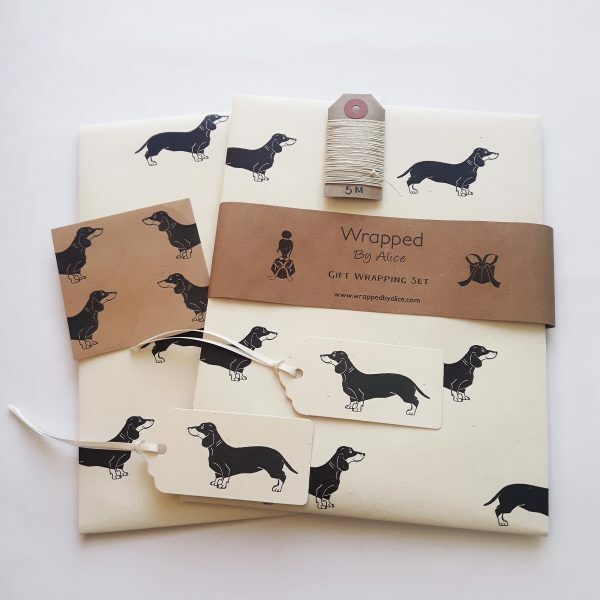 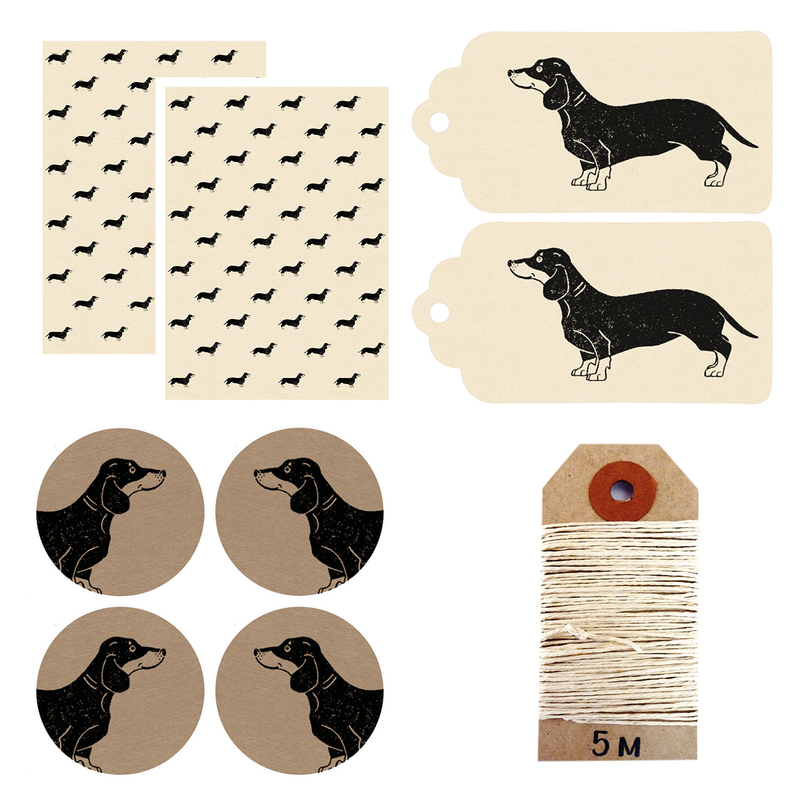 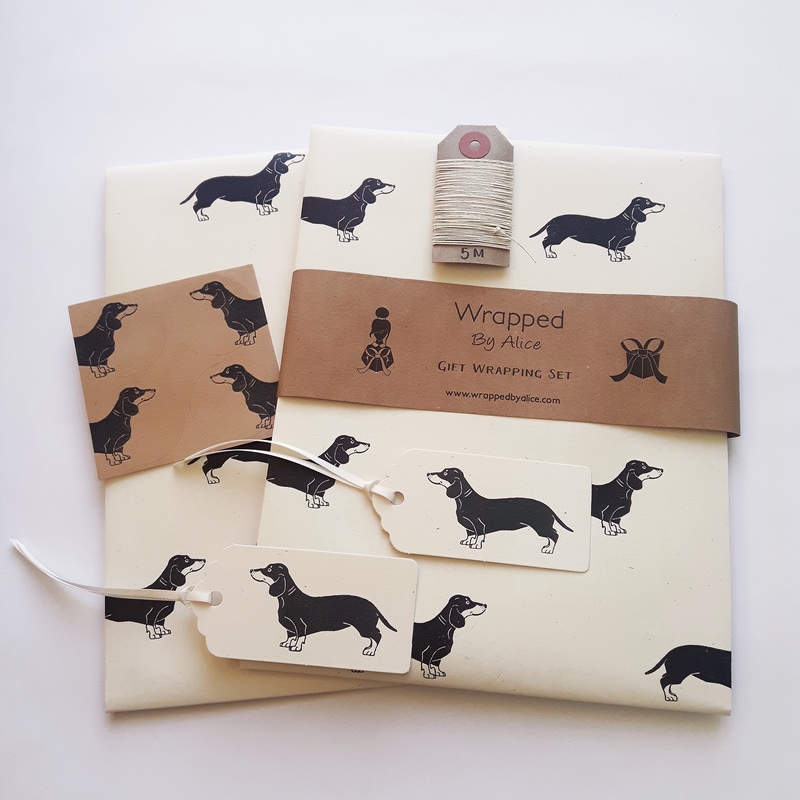 Everything you need to wrap your gifts in style, with a quirky sausage dog twist! 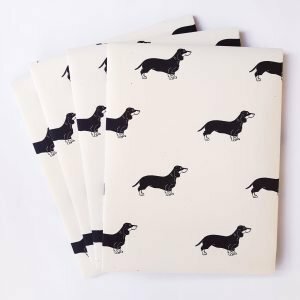 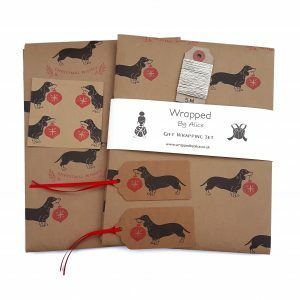 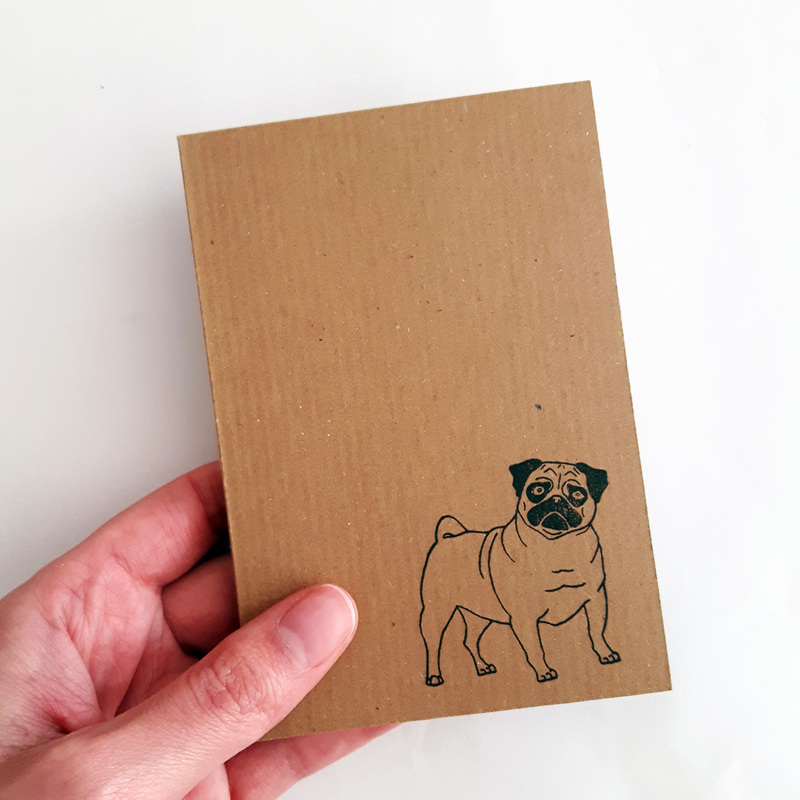 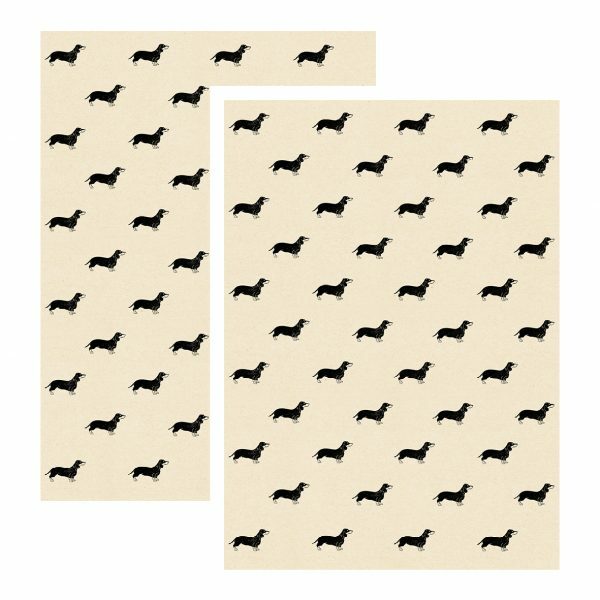 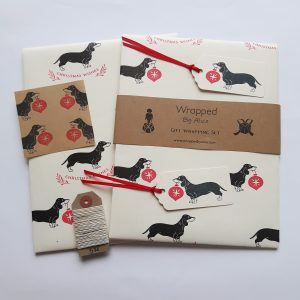 – 2 sheets of creram gift wrap, featuring my cute little dachshund, Teddie. 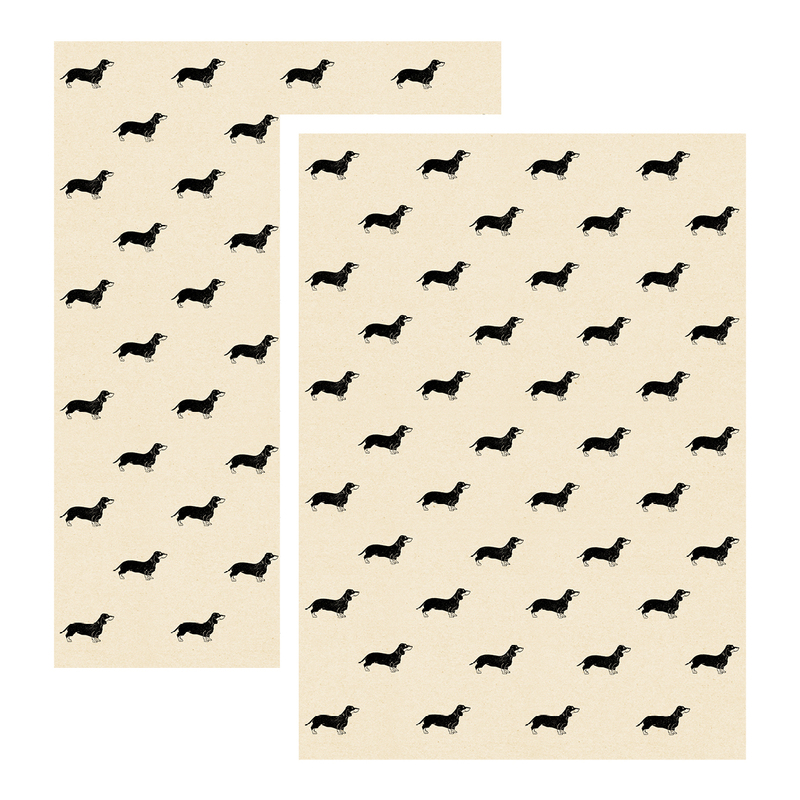 Each sheet measures approx. 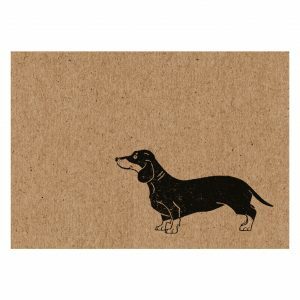 50cm x 70cm (approx. 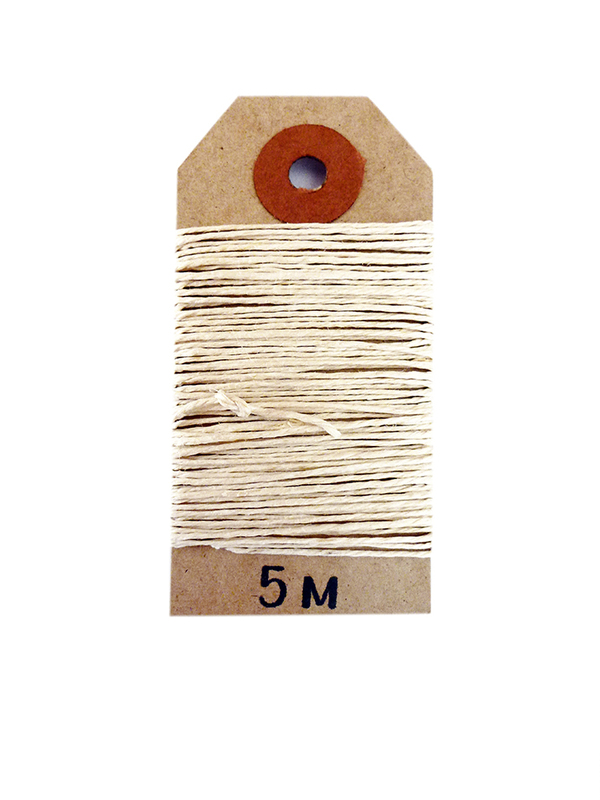 19.5 inches x 27.5 inches). 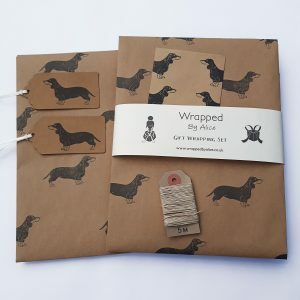 – 2 matching, hand printed cream parcel tags, threaded with cream satin ribbon (Each tag measures 9cm x 4.5cm, or approx. 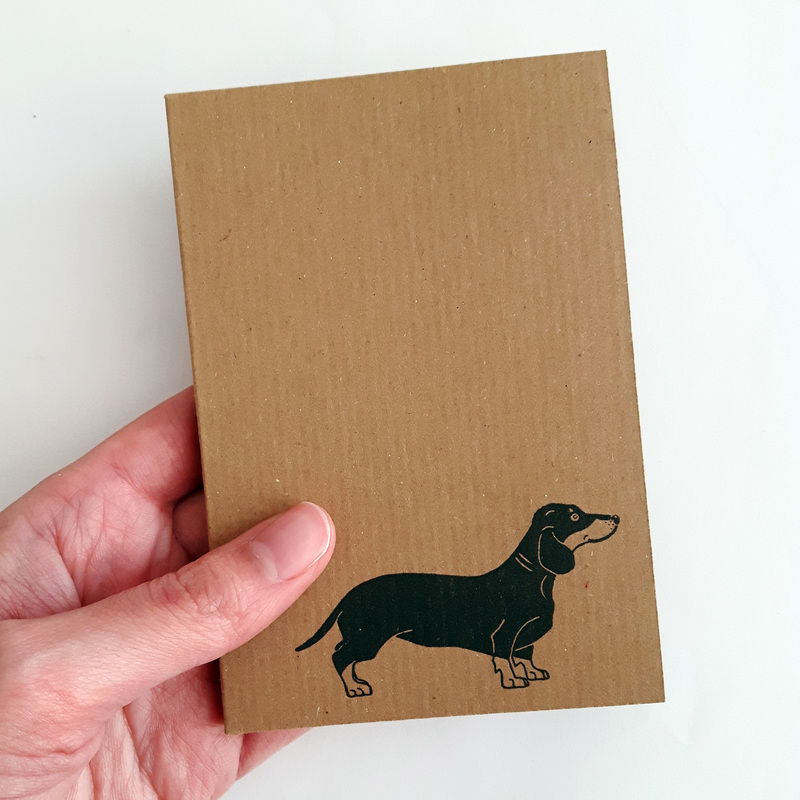 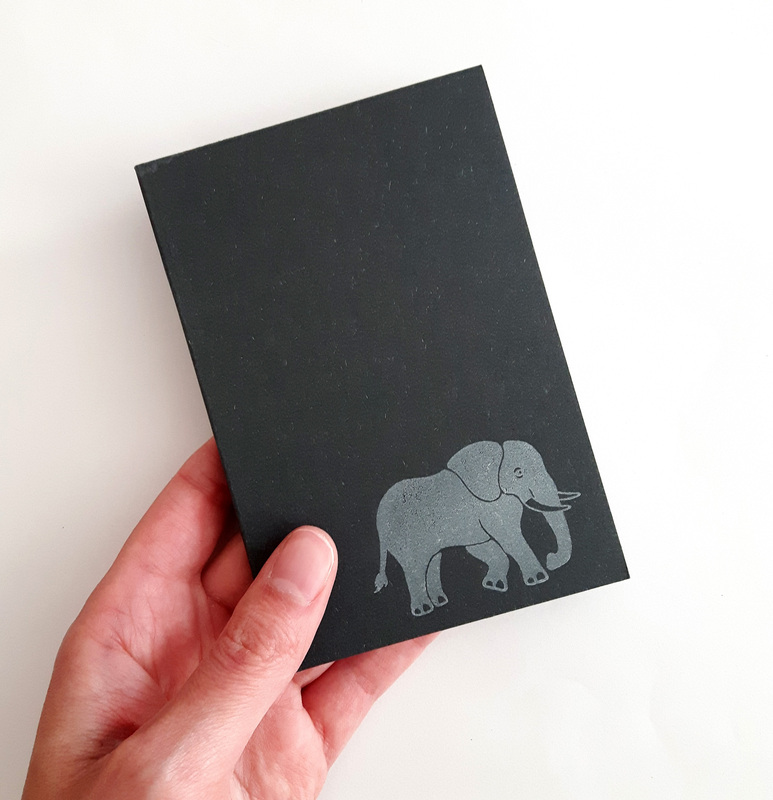 3.75 inches x 2 inches).